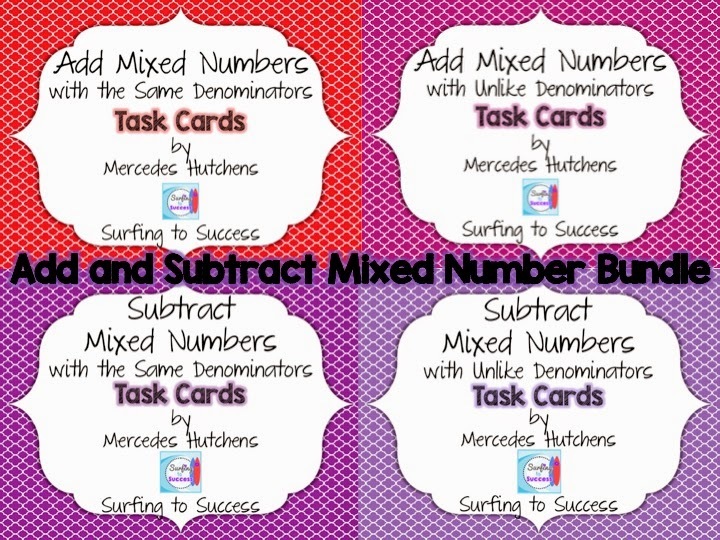 I mentioned in my last post some fifth graders I worked with recently that were struggling to add and subtract mixed numbers. It is no wonder. 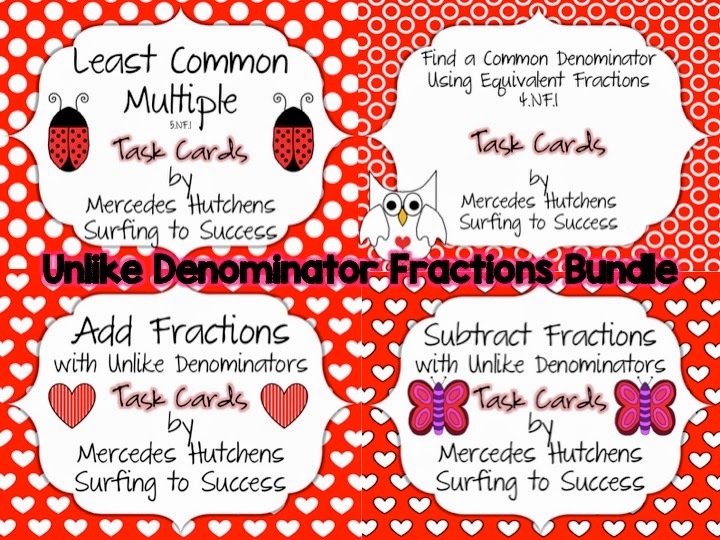 You have to be able to fluently do all the previous fraction skills to be successful. Typically, I have 2 weeks for an intervention group. Luckily this group was before spring break so we decided to give this challenge 3 weeks. Some of the kiddos came in, as the 5th graders often do, telling me that they don’t need help with fractions. Sometimes they are right. Sometimes they just didn’t give their best on the test in class and they really do have a grasp on the concept. Sometimes they have no idea what our posted objective really means. I let them take a pretest with the promise that they won’t need intervention if they get 100%. Most of the pretests were blank. The ones that weren’t had answers where the numerators AND the denominators had been added left to right. Having already thought through the foundational skills, I was luckily prepare for starting at the beginning. 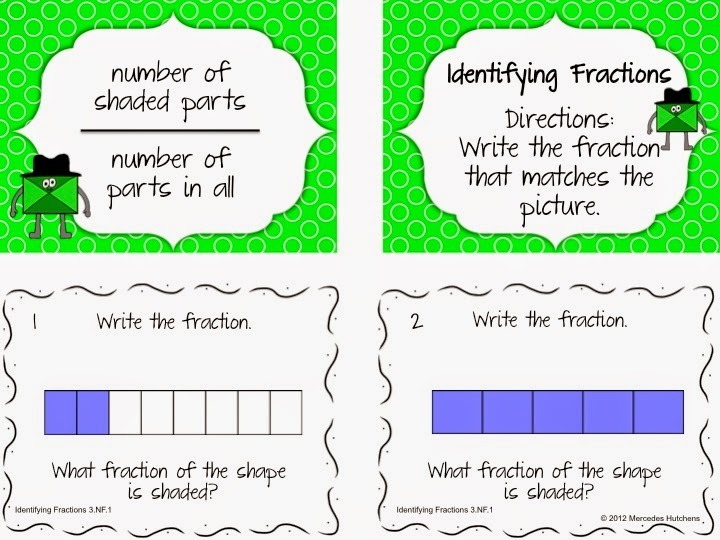 I spent a year teaching 5th grade math and had broken down the fraction skills to minute details. If you take a look at my fraction section of my store, you’ll see this was a huge focus for me. 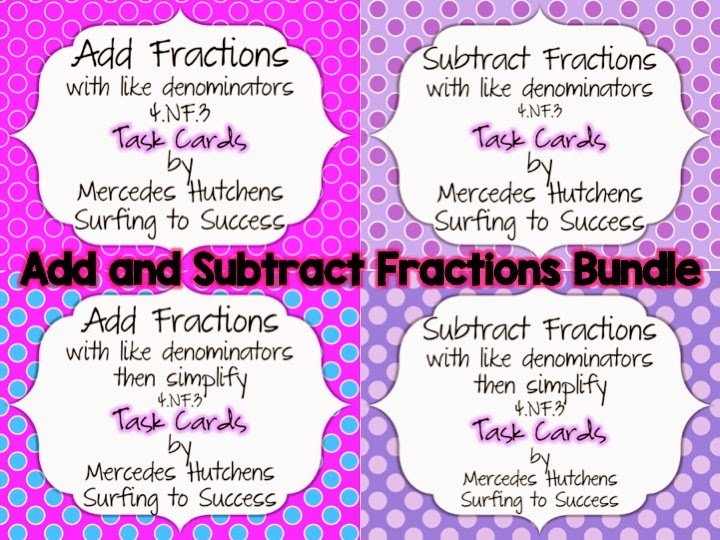 I made task cards for each little step along the fraction path. 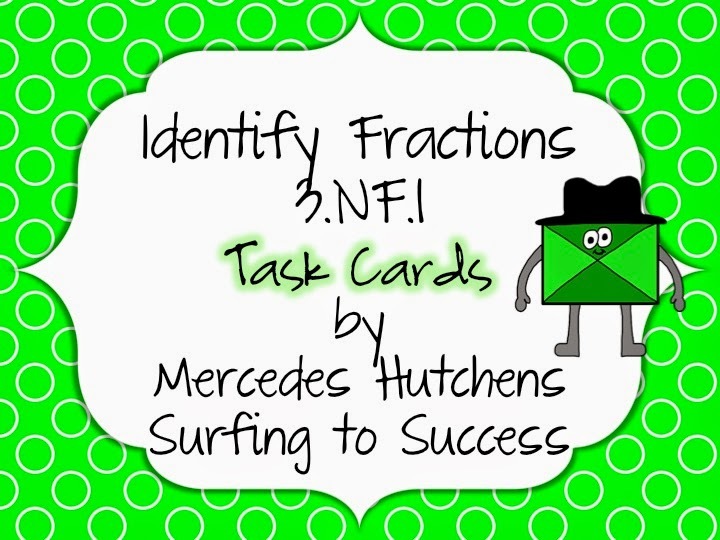 Starting with my Identify Fractions Freebie. 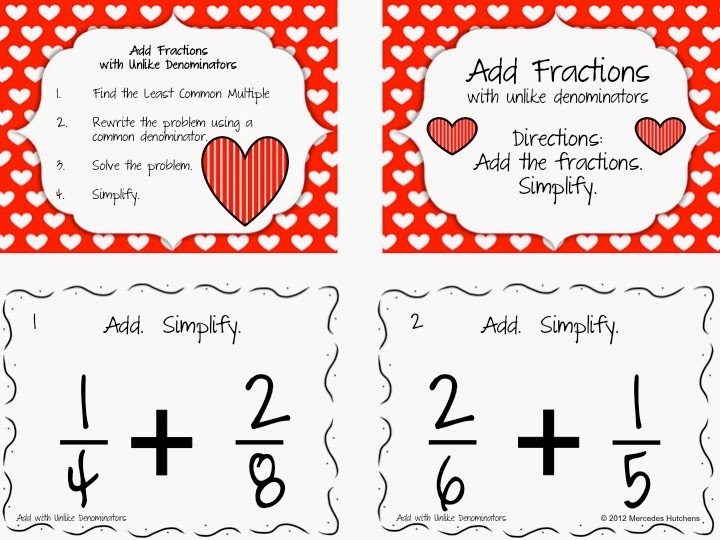 It seems kind of silly that I created a 3rd grade product with such a simple objective while teaching 5th grade math, but it turned out I’ve needed it a lot. When I taught 5th grade, I had them printed and hanging on my wall so I could have specific student practice their specific needs. I gave those to the next 5th grade math teacher. 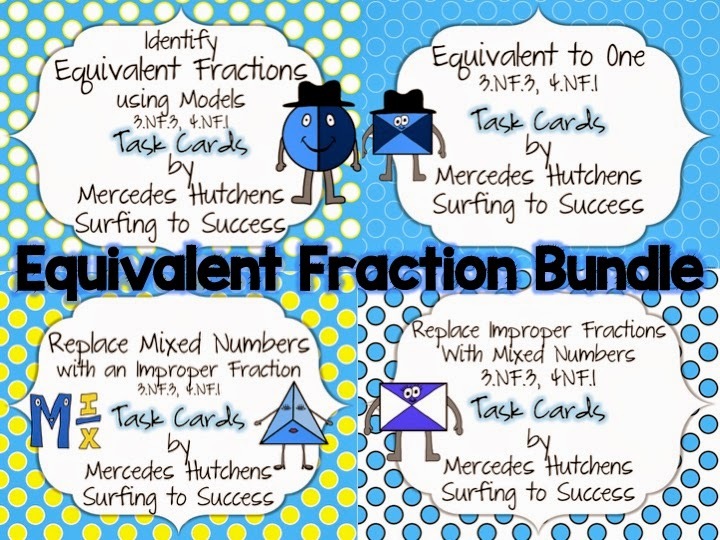 Now, I pull up task cards electronically on my interactive white boards and we use them with white boards. 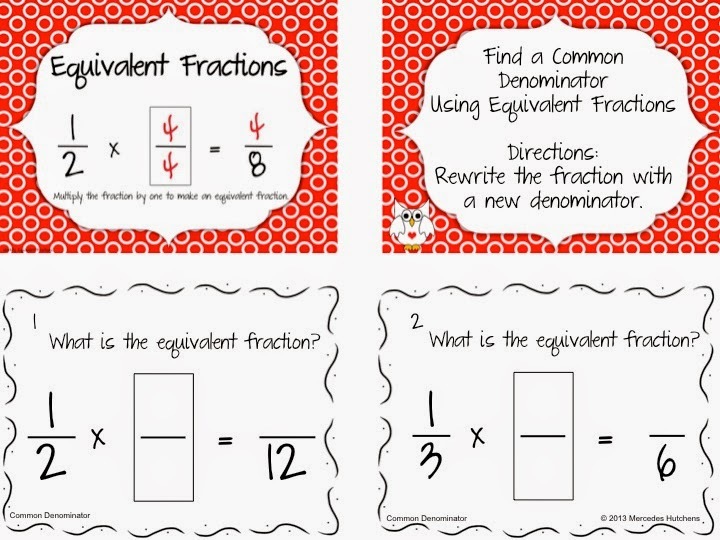 I discovered through my review that my students didn’t know how to find a common denominator. 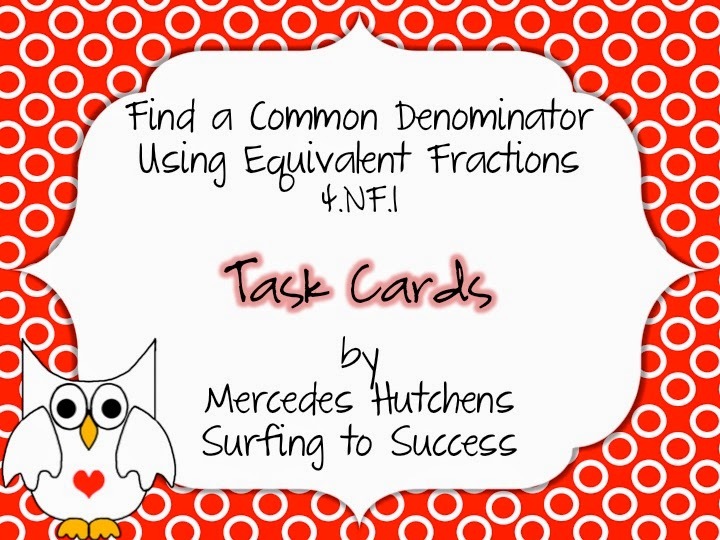 So we spent a significant amount of time practicing with my Find a Common Denominator Task Cards. 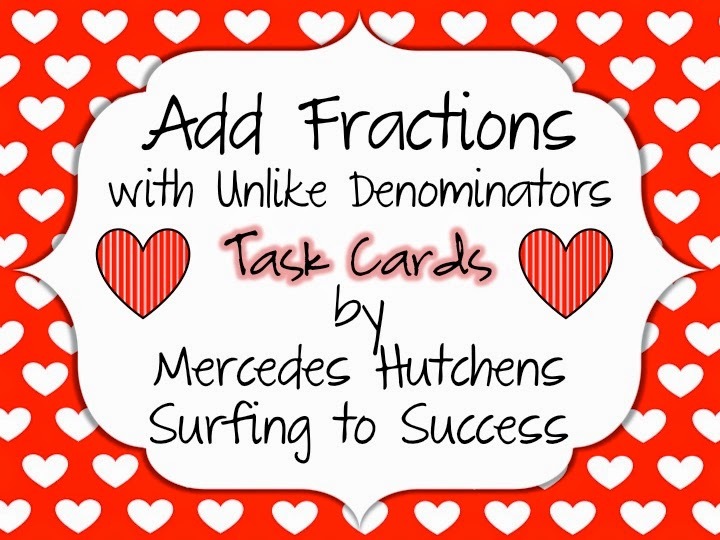 Then we practiced Adding Fractions with Unlike Denominators and simplifying. We spent a lot of time on simplifying. Then, I thought we could start adding Mixed Numbers. I was wrong. So many of the students I see for intervention have anxiety surrounding math. They are actually quite quick to learn, but if they miss one thing, they shut down and tune out. Not exactly a successful strategy. So, I encourage them to stop me if they get lost. The first problem in, kids stopped me. Oh. 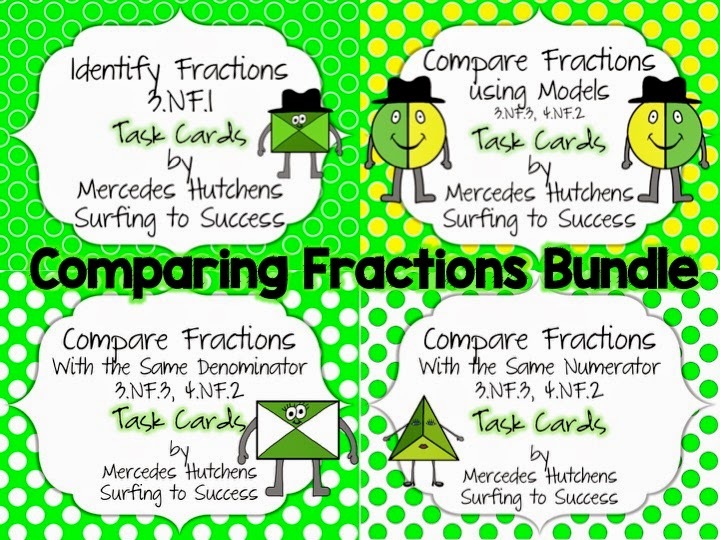 So, we need to review what a mixed number is, what an improper fraction is, and how to go back and forth with them. OK. So we spent some time working with Changing Improper Fractions to Mixed Numbers and Changing Mixed Numbers to Improper Fractions. Then we were ready to start adding and subtracting mixed numbers. Thank God I had three weeks for all that! Honestly, the last day when they were taking the test. I was nervous. I was so proud to grade them and give out mostly 100%. Sometimes, grade level objectives can be daunting when working with students with a below grade level background, but just focusing on the baby steps along the way leads to success. I’m not going to lie, though. My feet were sore after all those steps. 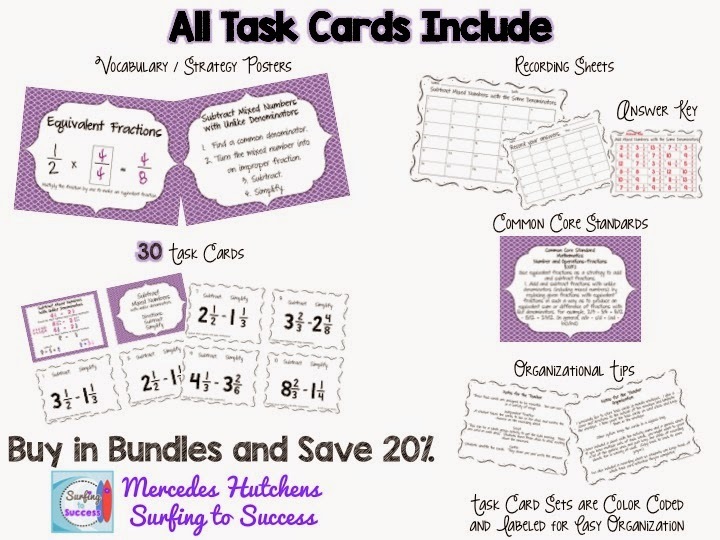 If you are somewhere in that continuum of fraction skills and are looking for some resources, I have several bundles which are all at least 20% off. I’m listing them in the order I teach them so you can jump on wherever your needs fit. 🙂 Just click the picture to find it in my store.